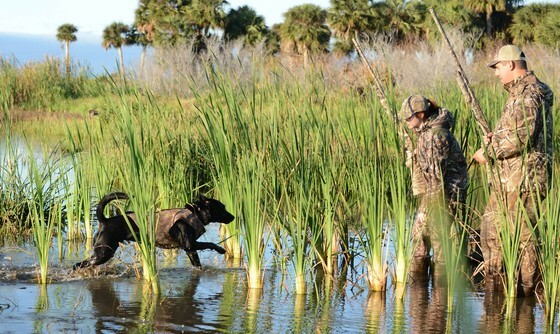 Click NOW for Florida Hunting Opportunities! If you're interested in quota permits to hunt public lands, check out these opportunities and be ready to log into GoOutdoorsFlorida.com at the dates and times listed below. Phase 1 to apply for special-opportunity daily dove permits begins Friday, Aug. 17 at 10 a.m. Eastern time and runs through Aug. 27. NOTE: There are now 27 permits available for each date at Frog Pond, instead of the original 22 available permits, due to an increase in planted acreage on the area. Mark your calendar with upcoming hunting season dates on private lands. If you have an alligator trapping license/harvest permit and would like to know more about taking part in the statewide alligator harvest program, there are three FWC free training opportunities left. Classes are not mandatory, but we strongly encourage new and experienced hunters to attend. You can learn or brush up on rules and regulations, equipment and methods, safety, and more. Registration is not required. The statewide recreational alligator hunting season runs Aug. 15 – Nov. 1 each year. Depending on what harvest period you drew, you will be allowed to hunt one of the first 4 weeks and the remaining 7 weeks of the season. 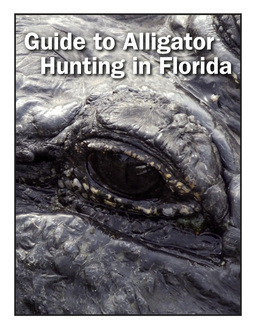 For more information, check out the Guide to Alligator Hunting in Florida. Also, find a public boat ramp. If you’re planning to hunt deer, moose or elk out-of-state, it’s important to be aware of laws and regulations aimed at preventing chronic wasting disease (CWD) from entering Florida. 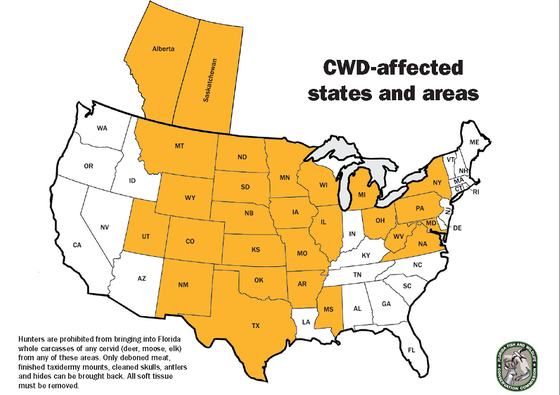 CWD has not been detected in Florida. However this transmissible disease, which causes infected deer, moose and elk to die, has been detected in 25 states, including most recently, Mississippi. In Florida, if you encounter sick deer or those found dead of unknown causes, it’s critical to report them to our toll-free CWD Hotline at 866-CWD-WATCH (293-9282). Warning signs to look for include deer that are extremely thin, staggering, walking in circles, standing with a wide stance or have head tremors. Learn more about CWD. Florida residents ages 12 to 18 can earn physical education (PE) credit AND complete Hunter Safety and Boater Safety certification. The best part is this Florida Virtual School Outdoor Education Course is offered for FREE! Students who complete the requirements of the course will receive their Florida Boating Safety Education ID Card and be eligible to obtain a Florida Hunter Safety Certificate. They’ll also earn half a credit for high school. Learn more about this virtual course (see option 3) and get registered today! Buying Federal Duck Stamps is among the simplest ways you can participate in wildlife and habitat conservation. 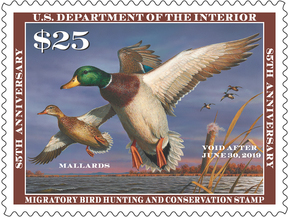 Duck Stamps are required for waterfowl hunters 16 and older, and a current duck stamp grants the bearer free entrance into any national wildlife refuge that charges an entry fee. Buy a Federal Duck Stamp at GoOutdoorsFlorida.com. Considered one of the best conservation tools ever, 98 percent of the Federal Duck Stamp’s purchase price goes to acquire and protect wetland habitat not just in Florida, but throughout North America for migratory birds and other wildlife. This is another important way that hunters and stamp collectors contribute to conservation. You want to learn more about skills, techniques, tackle and safety. You’re planning to hunt in a state that requires bowhunter education. All U.S. states, provinces, and countries that have mandatory bowhunter education requirements will accept the Florida Bowhunter Education Certificate. You enjoy meeting others who bowhunt! You can take a traditional Florida bowhunter education course or you can complete an online, distance learning component, then attend an abbreviated field day. Traditional courses and field days are available throughout the year. Learn more about bowhunter education and check out the list of courses. You're invited to attend the 9th annual Waterfowl Summit, hosted by the United Waterfowlers-Florida (UW-F) and the FWC. This event will focus on aquatic plant management and the challenges associated with nutrients and invasive species. Lunch will be provided at no cost to summit attendees. When: Aug. 11. Registration begins at 8 a.m.
Take an online course and sign up for the free skills day, which offers hands-on learning from expert instructors on the basics of treestand safety, archery, and safe handling of firearms. When: Sunday, Aug. 19 from 8 a.m. to 3 p.m. Thanks to the passion and generosity of volunteers, the Youth Hunting Program of Florida provides safe, educational and mentored hunting experiences for young people. We're offering training for those interested in helping plan and facilitate hunts. 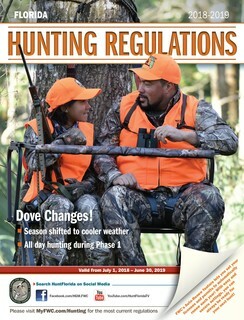 Register now to introduce youth to safe, responsible hunting. The Lewis D. Whitaker Osceola Shooting Range in Lake City is closed through Aug. 13 for repairs. The berms will be repaired due to erosion from last year’s Hurricane Irma. For more information, call the FWC’s regional office in Lake City at 386-758-0525. Becoming an Outdoors-Woman weekend workshops are a fun way to connect with nature and learn skills such as fishing, boating, hunting, target shooting, birdwatching, canoeing/kayaking, archery, outdoor cooking and more. We provide expert instructors and safe, hands-on learning opportunities that are open to anyone 18 years or older. Hunter safety courses cover firearms safety, wildlife conservation, responsible hunting and more. Students can attend a no-cost traditional classroom course. Or they can complete the classroom portion online. FWC’s website offers several online courses including a FREE option. After the online classroom portion is complete, students must sign up and attend a skills day.